‘It’s KICKING OFF HERE NOW! !’ I heard. Answering the call of a distressed husband, I dashed to look out of our living room window. 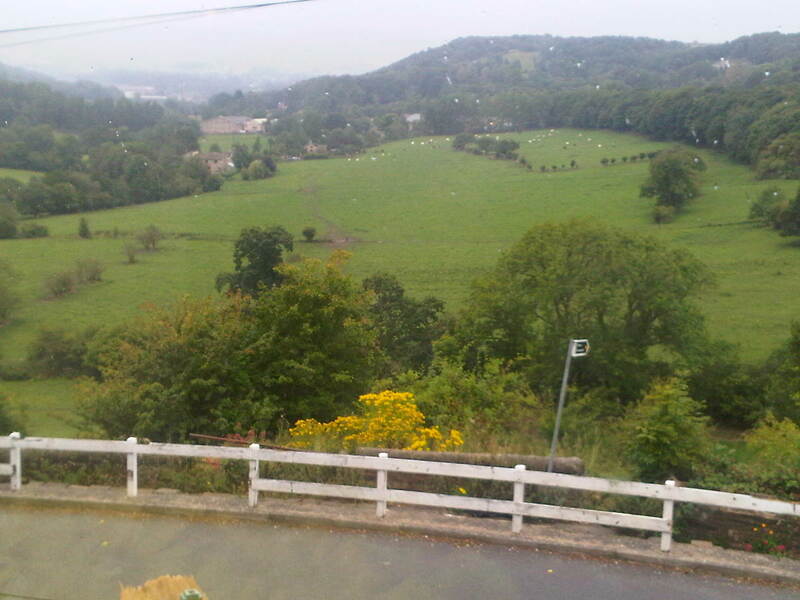 Our usual stunning view of the Holme Valley. But a new blot on the landscape…. Immediately I spotted two elderly walkers, behooded in a sinister shade of red Goretex. They were SHAMELESSLY TEARING innocent blackberries from the wild bushes opposite our house. I was tempted to knock on the window rather sharply and gesture at them to ‘Oi! Clear Off Up Your Own End!’. However, Ian wisely pointed out that they both had Nordic walking poles which could have caused no end of damage to our hanging baskets, had things gotten even more out of hand.